Turtle Beach’s Stealth range of gaming headsets were supposed to do a couple of things: be comfortable, have competitively great sound and be relatively cheap. 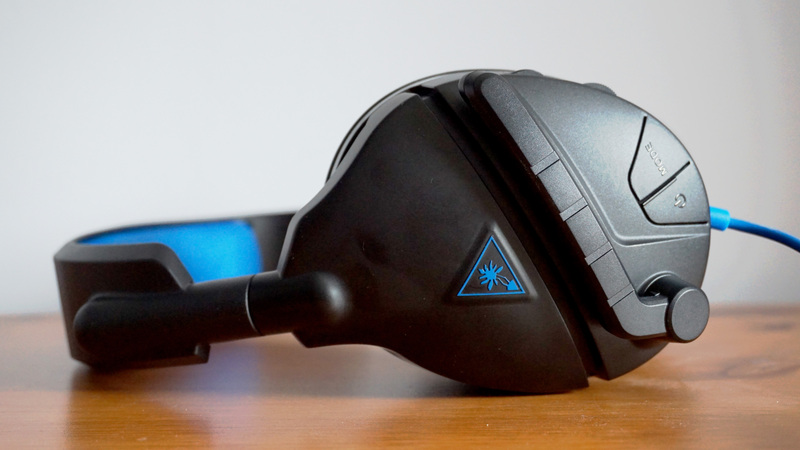 I got to put these things to the test with their Stealth 300 headset recently, a wired futuristic-looking device that came with a fact sheet that practically sang as I unfolded it. “Powerful amplified audio” and “superior 50mm speakers” jumped out at me; I was sceptical, to say the least. It’s not unusual for developers to sing about their products, especially to us critics. They are not often wrong, but with Turtle Beach being one of the most renowned names in gaming peripherals, I was intrigued as to whether or not they could live up to their paper promises. Firstly, the packaging was cheap. The headset itself was enclosed between two pieces of plastic that was inside a thin card shell. For such a prestigious company, they didn’t package this thing very good, but I didn’t let this taint my vision. After releasing the headset itself from the packaging, things became clear; the headset felt well manufactured and solid. Each earcup swung left and right as I removed the item, which instantly meant that this thing fits all sizes and ear shapes. 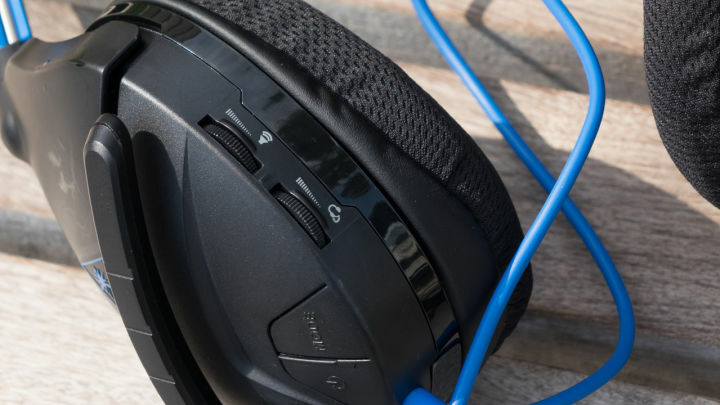 It’s unsightly though, for on each side of the headband is a cylinder-shaped tubing that houses the extendable rods for each earcup. It’s logical but unattractive. The physical design of the Stealth 300 also has a ProSpecs design that grants extra room for guys (like me) who wear glasses. This is extremely important as other headsets usually leave my glasses’ arms embedded in the sides of my head at the expense of comfort after a prolonged period. This design also caters to PlayStation VR owners too, and it leaves plenty of room for your VR headset to fit. 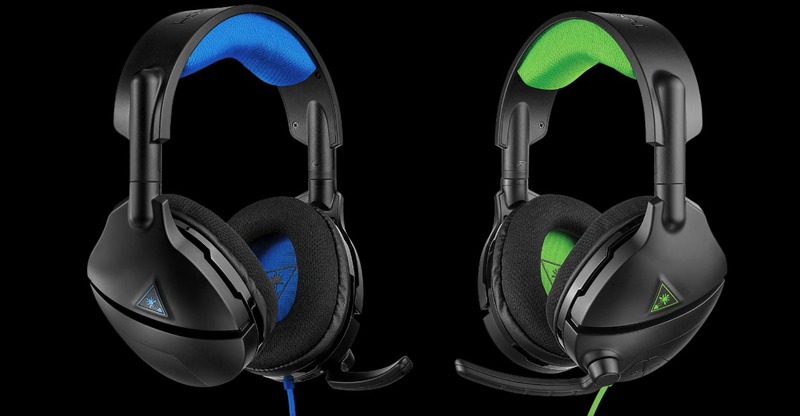 This design is very considerate of Turtle Beach and explains the ugliness of its shape. We received an Xbox One marked unit, but the Stealth 300 is wired with a 3.5mm plug, meaning it can be used with any console or device, including the Nintendo Switch. With it being Xbox One marked, the unit was black and green, which looked very nice, and I’m told it’s available in other colours too, so it’s just a matter of preference. The earcups are nicely cushioned, and through prolonged play they never accumulated any sweat or moisture, mainly due to the foam and cloth materials used. The cups were also shaped to fit any ear size; however, mine (being a 6′ 2” tall male) didn’t fit very well. They were a smidgen too small for me but fit my 14-year-old son perfectly, so he’s a happy boy. On the left earcup sits the only two buttons on the headset and also the microphone, but I will come back to that. The buttons available are the power button to switch the amplifiers on and off and a mode button that switches between four sound modes, which are bass boost, bass and treble boost, Signature Sound and vocal boost, all of which are a matter of personal preference. Just above the buttons, situated on the side of the earcup, are two dials to toggle the volume of the headset itself and the mic. The 3-inch mic boom is attached to the left earcup just above the buttons. It has a lift-to-mute functionality, which is super handy as it takes little effort to mute the mic, say, for toilet breaks as all you do is lift it up and a small beep indicates the mute activation. The mic is super sensitive too, picking up the smallest sound and projecting it clear to the recipient. I could hear every word perfectly clearly from the Stealth 300 over my other leading brand headset with no interruptions. Wait a second! Is that a USB port? Yes, it is, and it’s used to charge the headset amplifiers and allow you to turn the headset on as the 3.5mm plug isn’t sufficient to power the device. Worry not though, as the Stealth 300 boasts over 40 hours of gaming in one charge. I couldn’t test this theory, but I have used the headset for 6 hours straight, and there are still no “low battery” tones or warnings. Still impressive in my books. So how does it sound? Well, it’s impressively clear on the standard sound mode setting. 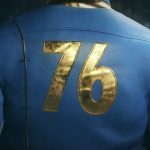 Every bullet origin could be identified, which helps in multiplayer shooters such as Call of Duty, and explosions were very bass-y and really projected the size of them perfectly. Boosting the bass compromised the quality a fair bit. Bullet zips were drowned out if an explosion occurred at the same time thanks to the enhanced boom. Games that aren’t as chaotic, such as God of War, were glorious sounding. The whooshing sound of Kratos’ Leviathan Axe carried more weight when there is more bass to it. I cannot fault the sound quality of the Stealth 300. 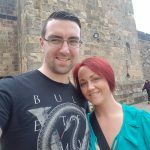 Each setting is ideal for different games and different situations as I soon discovered. If one setting isn’t ideal, simply pressing the button on the side of the earcup switches them with ease. 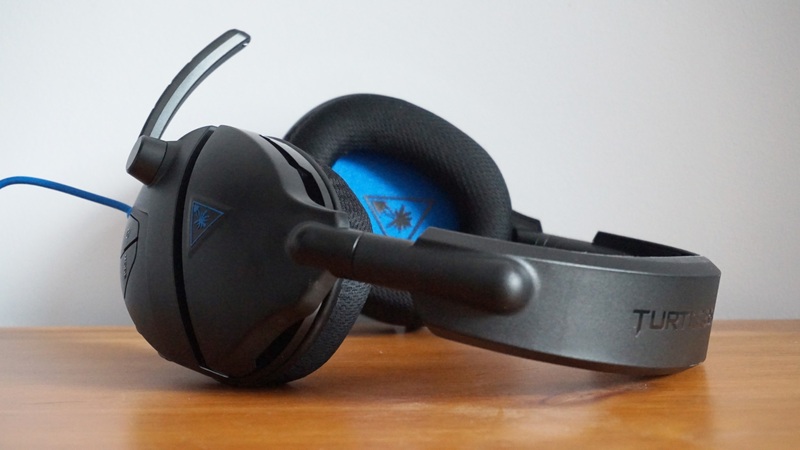 The Turtle Beach Stealth 300 is an affordable headset but provides a lot of bang for your buck. Its design is ugly, sure, but this has an important reason: to cater to glasses wearers. This is a great headset but not without flaws, such as the overpowering bass.